If you’re a skier, snowboarder or snowshoer, then you welcome winter in Vancouver because of the abundance of outdoor snow sports that are available to us, right in our own backyard. But even the most avid of snowhounds must admit that the dark and rainy winter days can be a bit dreary. So now that the sun is finally here, why not make the most of it? Instead of waiting until the weekend, you can fit in a hike close to the city that you can do on a weekday, right after work. Take advantage of those rays while they last! The park is located on the west side of the city of Vancouver on the University Endowment Lands, about a 10 minute drive from downtown Vancouver. It is a relatively flat and easy hike, with trails that go through about 750 hectares of forest. Follow our route that will take you on a loop around the forest and takes about 3 hours, or check out this map of the park to plan out your own route. Following the easternmost section of the Baden Powell Trail takes you to Quarry Rock, where you will be rewarded with scenic views of Indian Arm and the mountains around Belcarra. Located about 30 minutes from Vancouver in Deep Cove, this is an easy hike that will take you about 2 hours including some time on the rock to enjoy the view. And Quarry Rock is the perfect place to hang out and relax after a stressful day of work. The view from Quarry Rock in North Vancouver. Located on the North Shore, Lynn Loop is an easy trail with some initial elevation gain but not too strenuous.. The trail takes about 1.5 hours to complete and weaves through a nice forested area and also follows Lynn Creek on the latter part of the loop. 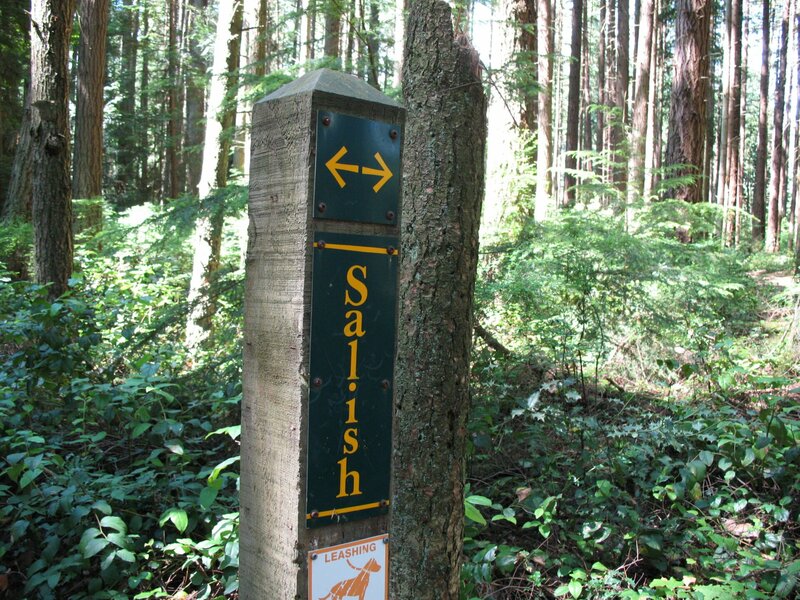 Part of Lynn Headwaters Regional Park, Lynn Loop is also just one of many trails in the area. The Grouse Grind is always a popular choice as Vancouver’s very own outdoor stair master. About 30 minutes’ drive from Vancouver on the North Shore, this hike up Grouse Mountain takes an estimate of 1 – 2 hours to complete, depending how much of a fitness junky you are. Make no mistake though, this is a difficult trail that will call on your fitness and endurance, as the trail climbs more than 850 metres over the 3km trail, and there’s no turning back once you start! All that hard work will be worth it though, as you will be rewarded with great views of Vancouver at the top, and you can get snacks or even a beer at the chalet before taking the gondola down. Make sure to bring plenty of water and some money to pay for the gondola back down! If you find the Grouse Grind a bit too busy for your liking, try the BCMC trail that splits off from the Grind and follows a more natural path through the forest. This trail is just as hard of a workout, but is less well traveled and features some steep rocky terrain. Like the Grind, it also leads to the Grouse Mountain Chalet, and should take about 1.5 hours to complete. It is recommended that you take the gondola back down the mountain after the ascent, as it can be dangerous to descend the steep trail especially on already tired muscles. I hope this inspires you to get out there and enjoy the BC greenery! Are there other short hikes or trails that you like to visit after a long day at the office? Let us know in the comments! How about Stanley Park? Not talking about the Seawall but the trails around the park. There’s some nice trails for an evening jog. are you guys for real, that you didn’t put in the gorgeous capilano canyon’s any number of trails e.g., upper shinglebolt…or the cap pacific trail to ambleside…or the coho loop? heck you can do 1 or 2 or a few others…this place is AWESOME for a hiking area. the grind is so overrated: BORING! But it’s one that should definitely be included on the list… it’s actually one of my favourite spots. There’s also Dog Mountain which can easily be done after work; Crystal Falls in Poco as well. Both on my top list of after work hikes. Dog Mountain is a great after work hike. Perfect length and lots of parking.